House siding choices are made depending on homeowner preference, climate conditions, and home maintenance needs. Which Type of Residential Siding is Right for Your Home? All homes have some type of exterior covering. While some homes have brick veneer exteriors, many homeowners opt for siding. There are several choices and choosing one over the others means balancing wants and needs. With these in mind, the homeowner making this decision must go through the process of examining home siding choices. Its a classic case of needs VS wants. The homeowner's needs? The home's exterior is utilitarian; that is, it protects the home from the elements. Depending on where the home is located, it may be subjected to high wind, snow, ice, termite damage, humidity, hail, or harsh sunlight. The homeowners wants? The exterior is decorative and should be appealing. For a rustic look, cedar siding is a good choice. For a particular permanent color, vinyl siding tops the list. For sheer strength, a fiber cement siding is the way to go. Lets examine these home siding choices in detail. Western Red Cedar siding is the type most commonly used. Its a natural product and known for its beauty and durability. For energy efficiency, rigid foam sheathing may be applied prior to installing the siding. If this option is taken, kiln-dried cedar siding should be used because of its stability. This warm wood siding can be finished in a variety of attractive ways. For a natural wood look, a penetrating stain or a clear repellant finish are good choices; varnish and shellac have fallen out of favor because of their short life span. Painting this type of building material is an alternative to a natural finish. Before painting the it, it should be coated with a water repellant preservative and then primed with a stain blocking primer. Only then should it be finished with a quality, 100 percent acrylic paint. Vinyl siding has many qualities to recommend it. It comes in a myriad of colors, which most manufacturers guarantee not to need repainting. Most simply recommend washing once a year. This house siding does a good job of standing up to the elements and doesnt have the permeability characteristics of wooden siding, making it a good choice where altering humidity and dryness are an issue. Insulated vinyl siding raises the energy efficiency of the home as well as providing a more rigid surface. With respect to rigidity, in all circumstances, thicker vinyl is preferable. It will stand up to the weather better, not to mention out-of-control baseballs! Matching trim and soffit material is also available, ensuring an exact match with the siding color. Fiber cement siding (usually referred to as Hardi board or Hardiplank siding since the James Hardie Siding brand name is synonymous with the product) is the strongest of all three home siding materials reviewed. When painted, it is indistinguishable from wood siding. This is also an excellent choice in high humidity areas. Due to its makeup, it is extremely mildew resistant. One of its strongest features is its immunity to the problems of termites and water damage. It generally comes pre-primed from the manufacturer so all thats left for the homeowner or siding contractor to do is paint it. A high quality acrylic paint is recommended. Cedar siding: rustic look, durability. 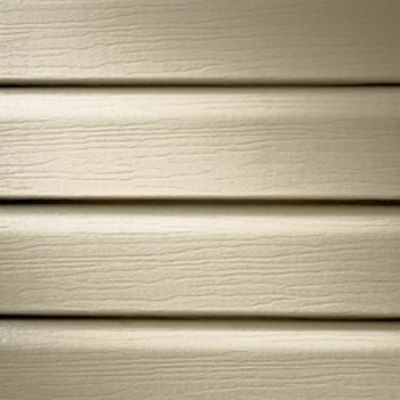 Vinyl siding: no need to paint, available with insulation, no humidity issues. 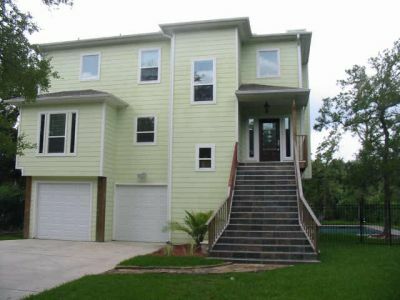 Fiber cement siding: avoids termite problems, long lasting strength, no humidity or mildew issues. Ready to get started? Do it yourself or find reliable contractors when you find local reviews on the services you need at Angies List – from electricians to physicians – Take the Tour! Website © 2008 KSmith Media, LLC; Webmasters Google profile.